Houbunsha's March issue of Manga Time Kirara Carat magazine will reveal on Saturday that Tsukasa Unohana's Anima Yell! is getting a full anime adaptation. Along with its announcement, Houbunsha will publish the manga's second volume this Saturday. Manga Time Kirara Carat began featuring Unohana's four-panel manga in February 2016. 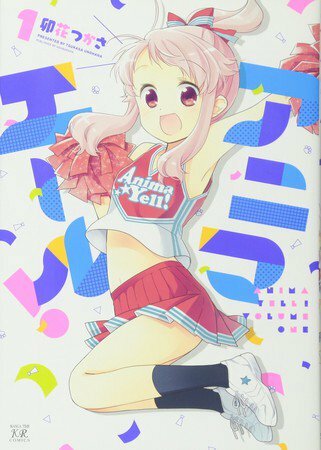 The sports comedy manga centers on Kohane Hatoya, a selfless high school freshman who becomes fascinated with cheerleading. So much so that she starts a club at her high school. Joining her endeavors is an experienced cheerleader, Hizume, and Kohane's childhood friend, Uki. Further details concerning the studios involved, or how many episodes will air, has not been revealed as of yet.